The Canvas Network sets itself apart from other education providers by making learning current and directly relevant to you. For example, the network uses the AMC hit TV series "The Walking Dead" to teach lessons in survival, science and society. Looking to advance your business career even further? Learn from knowledgeable professors like Kirk O. Hanson. Hanson has 23 years of experience teaching business ethics and is the executive director for the Markkula Center for Applied Ethics at Santa Clara University. Learn about large events like the Olympics with professor Mark Wilson, who has visited eight world's fairs and two Olympics. The Canvas Network leaves behind the “one-size-fits-all” approach to online learning and offers classes taught by outstanding professors with course material that is made relevant to today's society. Small Unmanned Aircraft Systems (sUAS) - Key Concepts for New Users is presented by Embry-Riddle Aeronautical University, the world's largest, fully accredited university specializing in aviation and aerospace. Whether you are flying for fun or for a commercial enterprise, this course will introduce you to key concepts related to sUAS, including basic types, capabilities, and current and future uses. Particular emphasis is placed on safety within the National Airspace System (NAS), including where to fly and where to find flight planning tools. The MOOC also introduces the FAA's new regulations (FAA Part 107) and will focus participants toward possible certification, regulations and flight planning considerations. This course is for both novice and seasoned sUAS enthusiasts. Describe the basic types of sUAS and their capabilities. 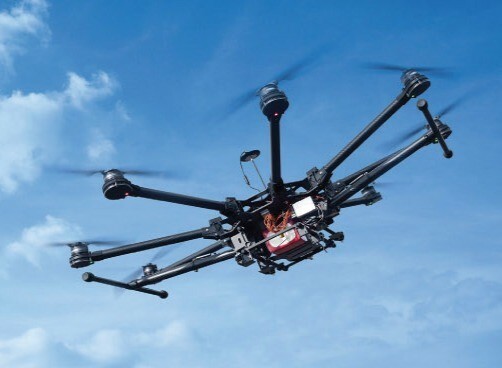 Discuss the sUAS operating environment, including the National Airspace System (NAS). Discover the basic dos and don'ts of sUAS/recreational drone operations. Identify regulatory requirements for remote pilot certifications. Recognize requirements for planning safe sUAS flights.